@Peter Kaufman: Has Trump said what a terrific place Kazakhstan is, and the fantastic job President Nazarbayev is doing, yet? Nursultan Nazarbayev in full Nursultan Abishevich Nazarbayev, Nazarbayev also spelled, Kazakhstan, U.S.S.R.), president of Kazakhstan (from 1990), a reformist who sought regional autonomy for his Central Asian republic. Nazarbayev was the son of Kazakh peasants. He graduated from a technical school in Dneprodzerzhinsk (now Dniprodzerzhynsk, Ukraine) in 1960, from a technical school of the Karaganda (now Qaraghandy) Metallurgical Combine in Kazakhstan (1967), and from the Higher Party School in Moscow (1976). He worked as a steelworker and engineer at the Karaganda plant off and on from 1960 to 1977. He joined the Communist Party of the Soviet Union (CPSU) in 1962 and rose through the ranks, becoming a full member of the Kazakhstan Politburo in 1979, chairman of the Kazakh Council of Ministers (1984–89), first secretary of the Kazakhstan party (1989–91), and full member of the CPSU Politburo (1990–91). In 1990 the Supreme Soviet of Kazakhstan elected Nazarbayev president of the republic. After the abortive 1991 attempt by hard-liners to overthrow Mikhail Gorbachev, a step that he opposed, Nazarbayev resigned from the Politburo (August 22). In December of that year, Kazakhstan declared full independence from the Soviet Union and, led by Nazarbayev, helped form the Commonwealth of Independent States, an economic union of former Soviet republics. Having long decried Moscow’s economic exploitation of Central Asia, he carefully nurtured Kazakhstan’s independence in such a cooperative. A 1995 referendum allowed for the extension of Nazarbayev’s term in office to 2000. Confronted by a period of economic hardship, however, he called for elections a year and a half ahead of schedule and was reelected president in 1999 and again in 2005. 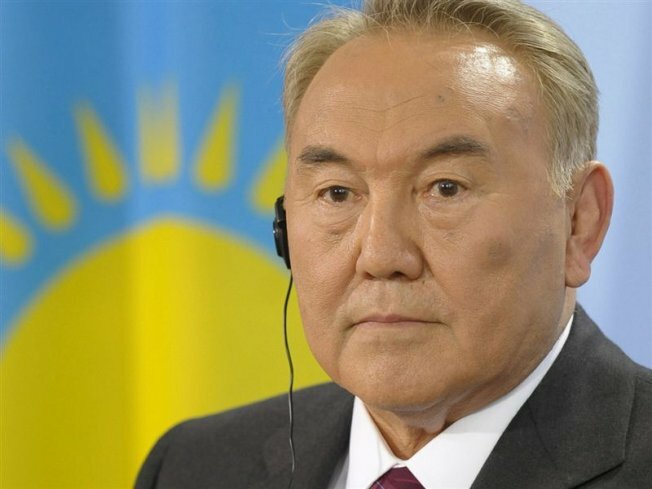 In 2007 a constitutional amendment rendered Nazarbayev personally exempt from the two-term limit on the presidency, and in mid-2010 the Kazakh parliament issued him the title Leader of the Nation, which further empowered him by protecting his assets and making him immune to prosecution. In December 2010 the Kazakh parliament voted to approve plans for a national referendum to cancel the next two presidential elections, effectively extending Nazarbayev’s presidency until at least 2020. However, the planned referendum was rejected by Kazakhstan’s constitutional court in January 2011. Nazarbayev accepted the ruling and called for early elections. In April 2011, running against token opposition, Nazarbayev was elected to another term with more than 95 percent of the vote. A subsequent report by Organization for Security and Co-operation in Europe (OSCE) observers stated that restrictions on political activity in Kazakhstan and the absence of a viable opposition candidate for president had left voters without a meaningful choice in the election. In 2015 Nazarbayev was elected to another term as president, once again with over 95 percent of the vote.